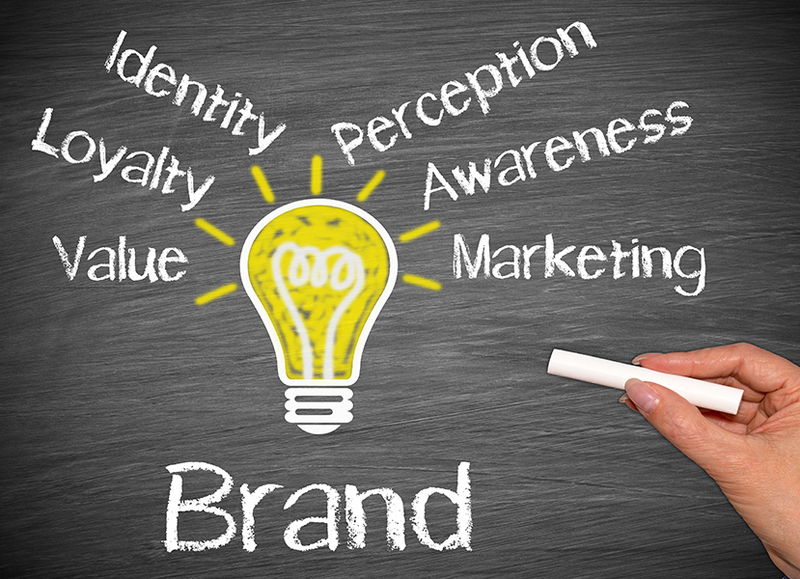 Company branding is the marketing practice of creating a unique name, logo, sales proposition, and messaging that identifies and differentiates your business, products, and services from others. An effective brand strategy sets you apart from other diesel repair shops and gives you a competitive edge in the market. Essentially, your brand is the promise you make to your customers. It tells them how they can benefit from doing business with your repair shop, and distinguishes your products and services from your competitors. Your brand is based on who you are, who you aspire to be, and who people perceive you to be. To a certain degree, who you are should be based on who your primary target customers want you to be and need you to be. You can’t be everything to everyone. So your branding strategy should focus on communicating the unique characteristics of your diesel repair shop, both visually and verbally, that resonate with your most profitable customers. Consumers like to connect themselves to a brand that identifies with, and relates to them socially, economically, culturally, and emotionally. Are you the lowest price in town? Do you provide the fastest repair service? Do you stock more parts than your competitors? Is your fleet service program better than the industry standard? Do you have a 24/7/365 mobile diesel truck repair service? Do you have a better guarantee? Do your parts come with a manufacturers warranty? Are your customer service representatives the smartest, friendliest, or most responsive? Are your technicians certified in more areas than your competitors? Do you have the highest reputation for quality? Are you more conveniently located? These are just a few examples of unique characteristics of diesel repair shops. The idea is to build your brand around the most important ones – the ones that set you apart, give you a competitive edge, and generate the most business for your repair shop. By doing this, your customers will come to know you by those characteristics – the ones most important to them. That’s how they will identify with the value of your brand, and continue to bring you their business. As a result, you will create strong brand equity and brand loyalty, thus taking price out of the equation. Communicating and executing your brand consistently is vital to your success. You must provide your customers with a consistent message, consistent quality, consistent service, and a consistent experience every time they do business with your repair shop. This is the brand strategy behind all successful franchises. Take McDonald’s, for instance. You always know what to expect from them, because their products and services are delivered consistently, no matter which store you visit. This is due to the fact that their branding strategy is based on implementing systems that create a predictable experience for their customers. Every employee, in every store, follows the same system, thus achieving the same quality product and timely service – they don’t just rely on their menu, taste, or price to sell their food. Deviation from your branding system causes disappointed customers. Your company logo is the foundation of your brand. It is the single most important element of your branding strategy, because it is the symbol by which you are recognized by your customers. The most effective logo design incorporates a simplified graphic image that is visually striking and easily recognizable. It should attempt to convey at least one of the following: what your company does; what your product or service is; what benefits you provide your customers; or even your company philosophy. For that reason, your logo should be designed after you have established your company’s mission; your product/service features and benefits; your unique sales proposition; and your competitive advantages. These are all branding components that must be taken into consideration when designing an effective logo for your diesel repair shop. Keep in mind that your logo can be a literal or a conceptual representation of your branding strategy, and should not be overly complicated. Your logo must be included in all of your marketing, advertising, promotional materials, and signage. How, what, where, when and to whom you plan on communicating and delivering on your brand messages should be included in your band strategy. Determining where you advertise and which channels you utilize for advertising must be considered carefully. The objective is to advertise in geographic markets where your target customers are located, using channels and tactics that will reach them and get your message noticed. For instance, consider billboard advertising along freeway trucking routes, or restaurant placemat advertising at truck stops near your repair shop. Print advertising in publications your customers read and online advertising are also opportunities that should be explored. What do your customers and prospects really think of you? What qualities do you want them to associate with you? Are you getting the type of customers required to grow your business? Are you getting repeat business from profitable customers? Are you getting quality referrals from current customers? To create an effective brand, research is required to learn the needs, desires and purchasing habits of your current and prospective customers. Never rely on assumptions about your customers – you must know what and how they think. This will help you develop a brand identity they can relate to. Write down your brand messages. What are the key messages you want to communicate about your brand? Every employee should be aware of your brand attributes. Design a great logo. Place it on everything you have and everywhere your customers will see it. Integrate your brand. Branding extends to every aspect of your business - how you answer your phones, what you or your employees wear, your e-mail signature, etc. Create a "voice" for your company that reflects your brand. This voice should be applied to all written communication and incorporated in the visual imagery of all materials, online and off. If your brand is friendly, be conversational. If it is high-end, be more formal. Be true to your brand. Customers won't return to you - or refer you to someone else - if you don't deliver on your brand promise.